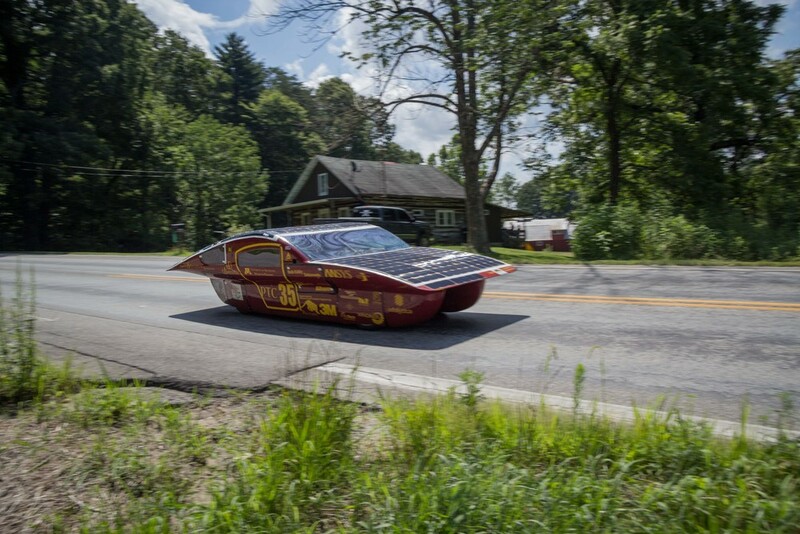 day Two of the American Solar Challenge! Today, we woke up in Hamilton, Ohio. 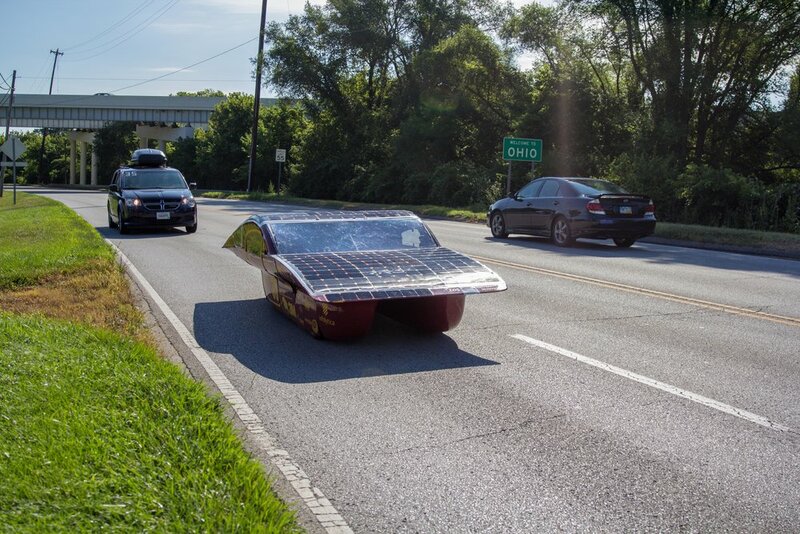 We got our car out of our trailer at 6:15 AM and had our arrays normalized for our battery. At 7:00 AM, we got our battery back from our observer (who makes sure that we don't illicitly charge it overnight). 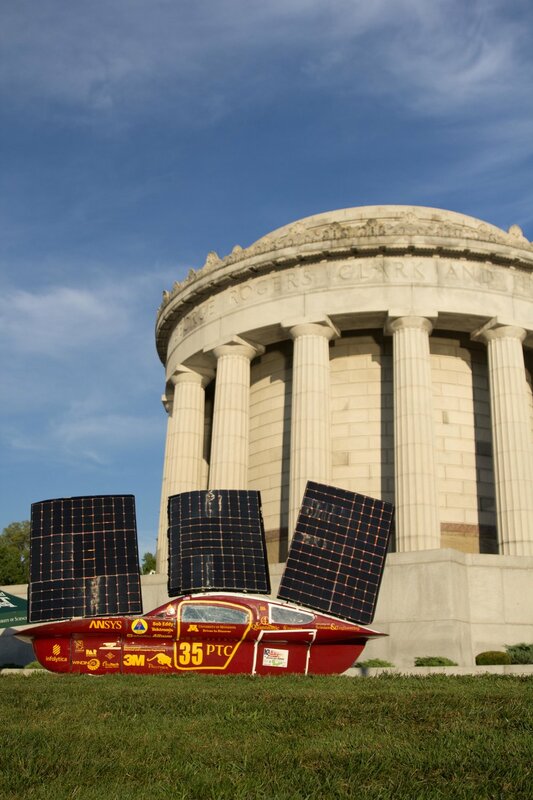 For the next two hours, we charged our battery from the sun and at 8:54 AM, we took to the road to continue on our route, and since then have been heading towards George Rogers Clark National Historical Site. Today, we were lucky to see teams Esteban, Missouri S&T, and Iowa State several times. Our media team had an enjoyable time chatting with these teams and hearing about their trips thus far. At 3:15 PM, we arrived at George Rogers Clark National Historical Park. Several teams were already here, so we normalized our array to charge for the allowed 15 minutes before pulling our battery out of the car. We will be able to charge again for two hours tonight before impounding our battery until the morning. Until then, we are enjoying the other teams and getting ready for our evening and the second part of the race!